Blog post inspired by the soon to be published short fictional novel Helton Janglom’s Template for Life. Look for Helton at the Amazon Kindle store. Every four years this achingly personal, tragically funny world we all inhabit slows to a deafening buzz. Like so many bees, our purposeful yet often numbingly repetitive lives find us back in the hive. Shoes and socks find their rightful place in honeycomb closets and on worn entryway floors. Smiles of anticipation vibrate with the hum of unconsciously brought forth national anthems and tightly packed but comforting crowds. The World Cup is only days away. Young children will sit still for hours, mesmerized by the world’s finest athletes, and then rush outside to magically become Messi, Ronaldo, Rooney, Suarez, Neymar, Neuer, Casillas or Howard. Grown men and women will link arms and sing, before shedding a tear of joy or sadness. The 2014 version of the planet’s greatest sporting event is sure to have many of us twisting left and right as samba takes root deep in our souls. The true nature of the planet, the beat of our hearts and the dreams of all will be revealed for one month, an insignificant and fleeting moment in the miasma of time. All of us one, one of us all. Amidst this wondrous blink of our lives, buried deep inside the tales which will spin in ninety minute increments on pristine green fields, is a harbinger of doubt. How, during moments of such sublime beauty, can anxiety force its way from the numbingly repetitive building blocks of our mind into this shared brilliance? Cannot we purposefully contain the achingly personal, tragically funny world, even for this brief instant? We cannot. For, if you dream, if you revel in the joy of a spellbinding goal, if you feel the sting of defeat, if you lay bare the true nature of self, you must confront the twisted, even when basking in the light. The world today is bright with the revealing gleam. Atrocities instantly circle the globe, and then, somehow, fade away yet continue. Women are made to crouch as less than, instead of standing as equal. A person’s self as nature designed can be spat upon, and worse, ignored. Luckily, the place which holds the fingers that type these very words allows the words to be expressed. To be certain, at times, this place has committed each of those atrocious acts. But this place battles mightily with itself to correct the adolescent need to belittle and destroy. This place is at a crossroads. The knowledge that we are all responsible for the very existence of each other can be a crushing burden. We must embrace that weight. During a month where many of us will crowd together in the comforting hive, making each other that much more real, remember this; the sport which brings us together, soccer, or futbol, is only a sport, a wonderful and glorious sport, but only a sport. How we use the incredibly revealing nature of our sport is what matters. Those who live lives of luxury while making decisions for where our beloved futbol will be played, how it will be played and how those who play and watch must carry themselves, absolutely and without reservation, are duty bound to strive for nothing less than the truth futbol can bring out of each of us. We are all responsible for the very existence of each other. Awarding the beautiful game to people who consider themselves above others, to individuals who use personal and cultural beliefs to belittle and destroy others...cannot...ever...happen. 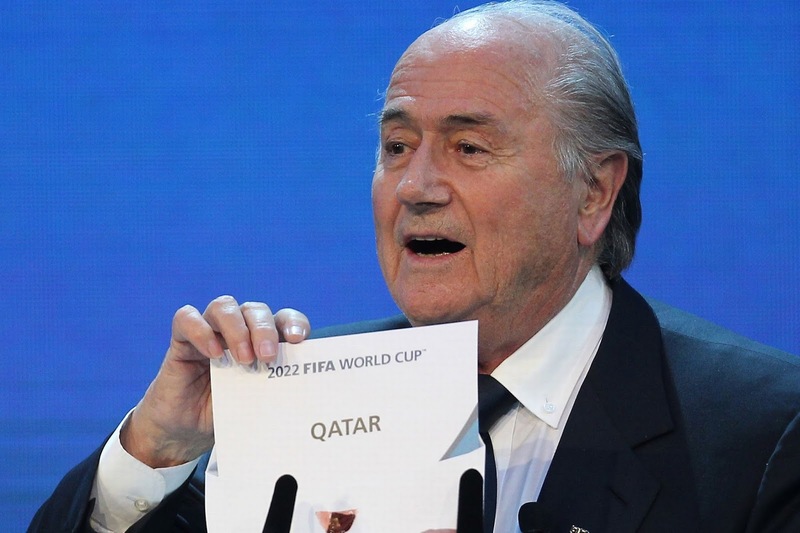 The leaders of FIFA should be willing to put their names on the stadiums being built upon the bodies of hundreds (possibly thousands) of human beings in Qatar. The leaders of FIFA should be willing to stand in front of a microphone and tell the world they are okay with murdering all those innocent people. The leaders of FIFA should own their decision to award the beautiful game to a country whose culture denies the most basic of human rights to many of its citizens. Remember this as you immerse yourself in the sport without kings this summer. Human beings are imperfect, but imperfection does not justify the willful ignorance of inherently evil acts. The nature of what our game can bring us is destroyed when a few greedy individuals sell both themselves and our sport to the still adolescent among us.